Media is packed with discussions about Wilbur Ross and NAFTA. US Commerce Secretary Wilbur Ross has recently indicated the US will soon begin formally renegotiating the North American Free Trade Agreement (NAFTA). The announcement came close upon the heels of his being confirmed to head the Commerce Department in Donald Trump’s new administration and concerned some who believe the US is vying for a trade war with Mexico. What Wilbur Ross does next is somewhat unknown, yet his comments in recent weeks leave room for optimism. One thing we can be sure of is Ross will not leave NAFTA on the back burner. The newly confirmed secretary quickly stated in his first interview as Commerce Secretary that the US will be proactive on trade, emphasizing the importance of negotiating positive deals that will benefit the US – starting with NAFTA. The US government is legally bound to notify Congress at least 90 days before signing any international trade agreement, and the new cabinet official indicated in March that such a notice would be forthcoming within a matter of weeks. This would put the beginning of talks in July of this year, 2017. The notification is part of the fast-track negotiating authority delegated to the executive branch by Congress, and requires only an up or down vote from Congress. Based on previous statements made by Wilbur Ross and NAFTA, it is possible to ascertain what future changes to NAFTA might entail. While talks have yet to begin or even be officially called for, many of the following items and visions may play a part in the new agreement based on what Ross has stated in recent months. 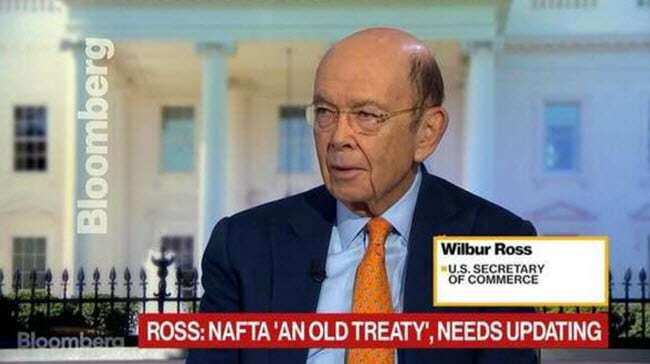 Speaking on the nature of a trilateral agreement, Ross has indicated he is open to negotiating separate trade deals with Canada and Mexico, but Mexico is opposed to a bilateral alternative to NAFTA. The controversy of Wilbur Ross and NAFTA will continue through summer months and on into the fall. Given Ross’ positive personal experience with manufacturing in Mexico and his awareness of the needs of manufacturing companies to maintain the lowest possible product production costs it is believed that an orderly agreement will be reached with the United States and Mexico. However it is too early to judge.